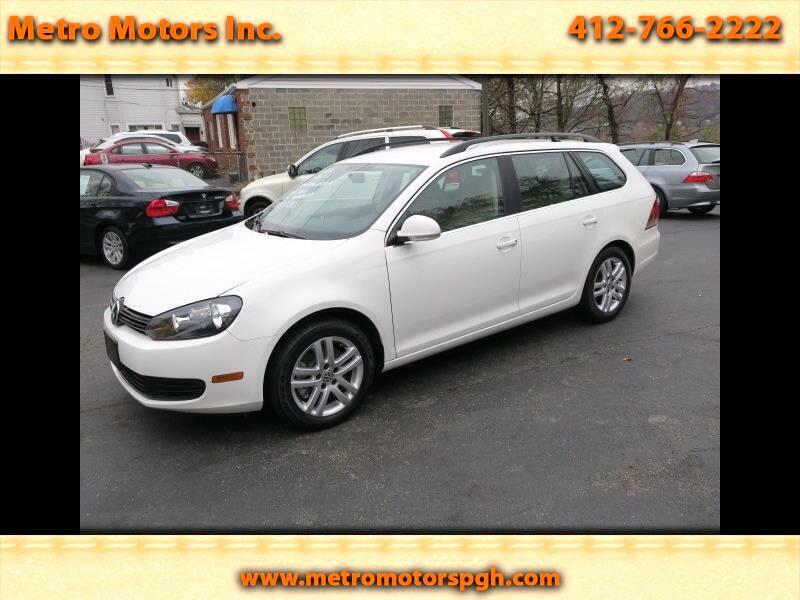 Used 2013 Volkswagen Jetta SportWagen 2.0L TDI for Sale in Pittsburgh PA 15202 Metro Motors Inc.
Spotless 2013 Volkswagen Sport Wagon TDI Turbo Diesel. 1-Owner, garage kept, 59,453 Certified Miles!! Finished in Alpine White, with Parchment Leather Interior. Heated Seats. Premium Sound w/Satellite, CD. Auxiliary Port, Bluetooth Phone Mode. Climate Control. Tilt & Telescopic Leather Wrapped Steering Wheel with Command Buttons. Fold Down Rear Seats for Optimum Hauling Capacity. Full Power, Cruise Control. Surround Air Bag System. These New Generation TDI's Have Tremendous Torque, and Great Performance!! All Original Books, Key's Manuals. New Brakes, Rotors All Around. Just Inspected. This car was just Re-certified thru VW with the Updated Emission Updates, And Carries an Extended Engine Emission Warranty of 10 Years and up to 120,000 Miles!! All New Brakes, Rotors, Oil Service, Inspection. Alloy Wheels. These TDI's are The Best Buy in the Used Car Market!! These TDI's typically run to 300,000 Miles +!!! They are "Bullet Proof Reliable, with minimal Maintenance!! $0 MPG Highway! Clean Auto Check History Report showing No Accidents or Issues! Great Car Great Price! !